Open fracture of tibia and fibula. 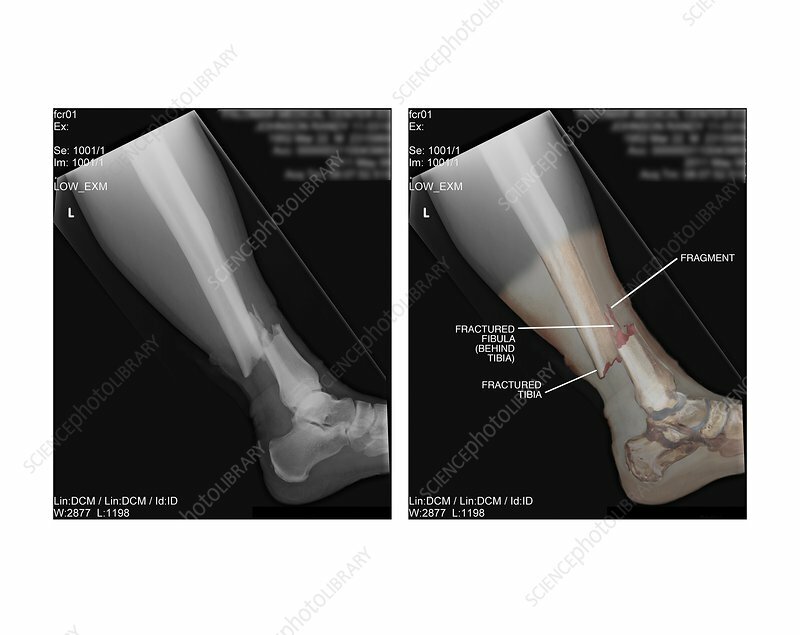 Labelled artwork combined with X-rays of an open fracture of the left tibia and fibula, the bones of the lower leg. At left is the original X-ray. At right is a coloured version. An open fracture is one were the broken bones are protruding through the skin. These fractures will require surgery to reset and pin the bones with rods, plates and screws.